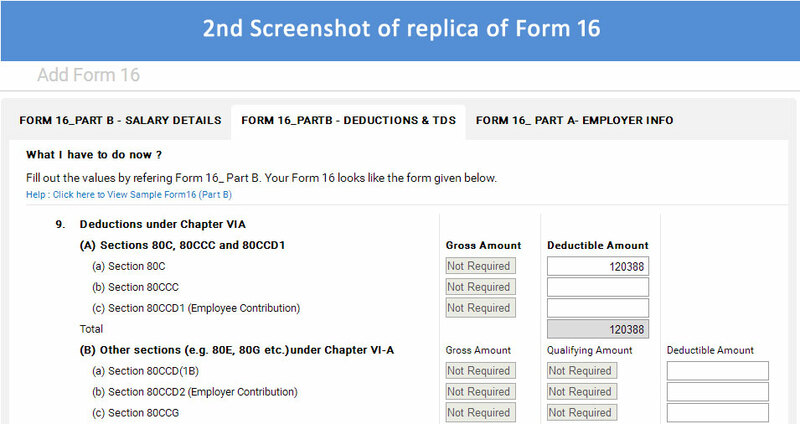 Employees having Soft Copy of Form 16 can prepare their Tax Return Instantly by just uploading it at Mytaxcafe. 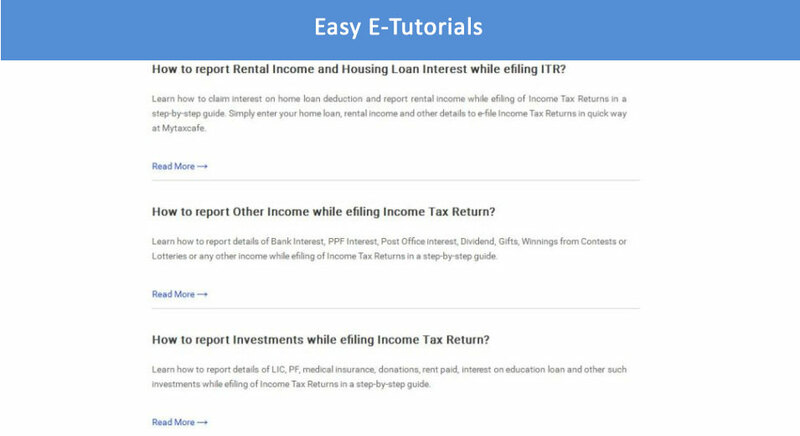 Answer our simple questions and your ITR is prepared in 6 Simple Steps. Suitable For - Every type of Tax Payers i.e. persons having Physical copy of Form 16 or earning any Type of Income be it from Salary, Business, Rent, Interest etc. 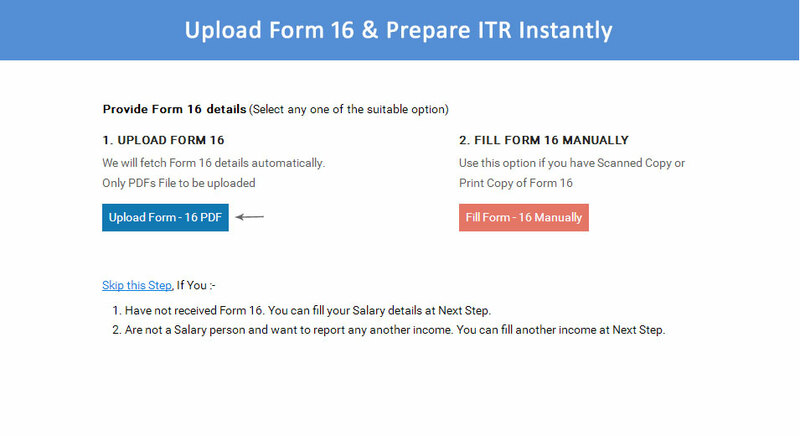 "The Tax payers just Upload their Form 16 and their ITR gets prepared Instantly. 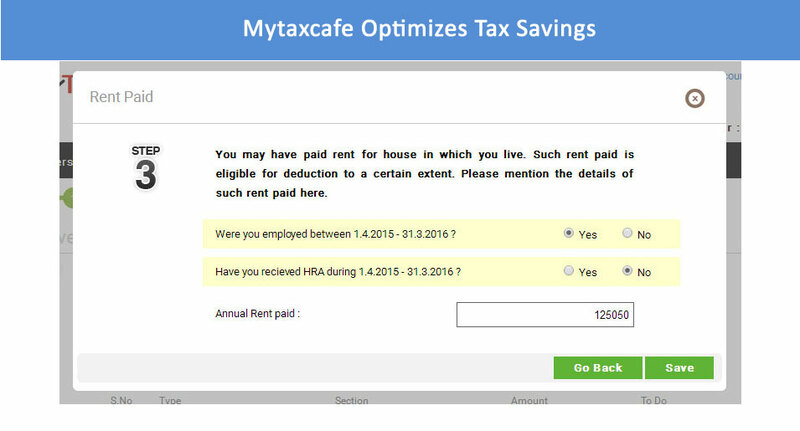 Mytaxcafe fetches their Salary Income, Home Loan Details and Tax Saving Investments automatically." "The Progress Bar helps user to understand the Steps involved in efiling of Tax Returns and in Focusing towards efiling. This eradicates any confusions in his minds towards efiling. The Menu Bar gives an easy navigation to him." 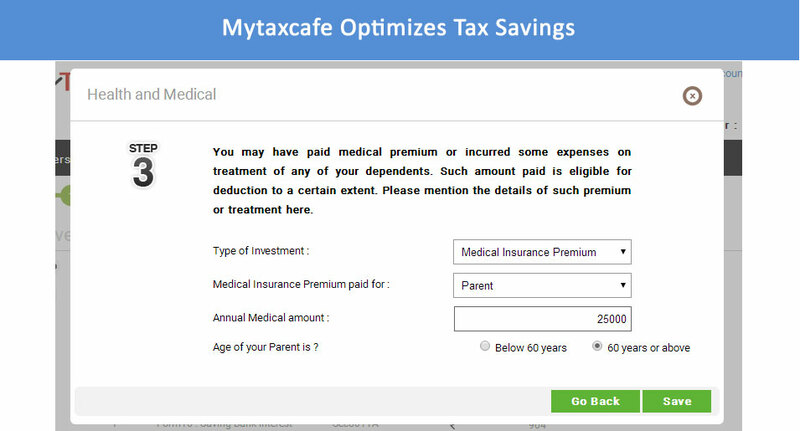 "Mytaxcafe has used simple words instead of technical Jargons. 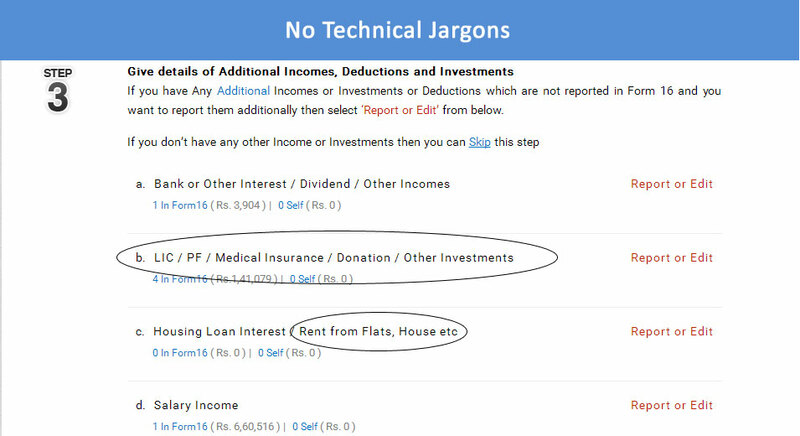 Like we used 'Rent From Flats' instead of Income from House Property or used 'LIC / PF / Medical Insurance' instead of Section 80C or Section 80D." 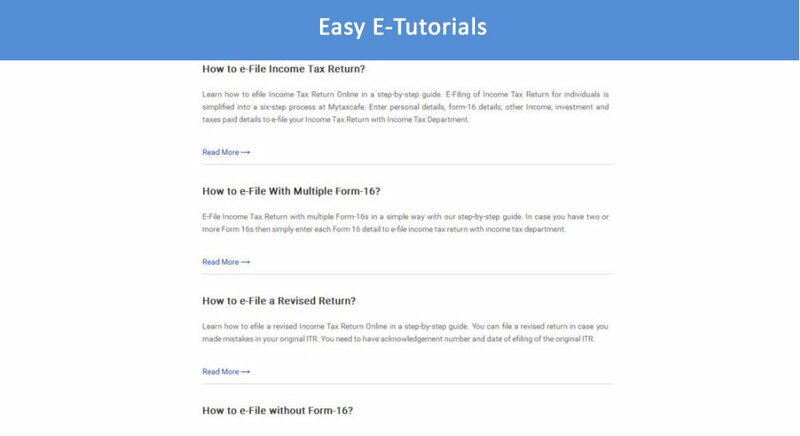 "The Simple & Precise Tips gives users a great Clarity about Tax Filing Process which ultimately makes them Confident that they can file Income Tax Return on their own." 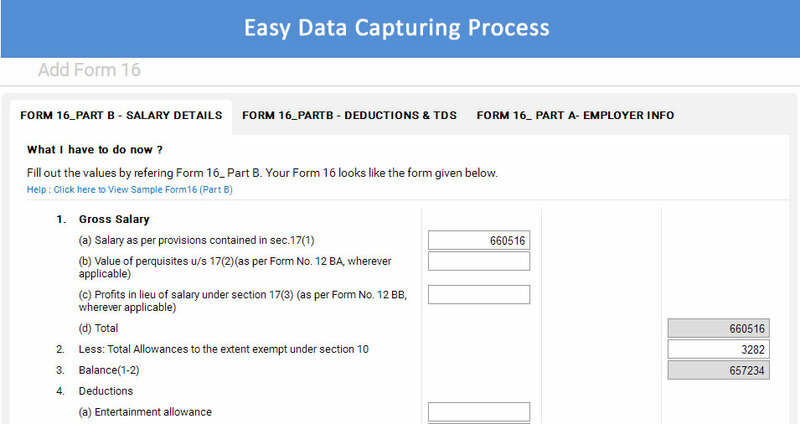 "Mytaxcafe designed data capturing process exact replica of Form 16 in front of users. So the users find it very easy to fill up the values as it is from their Form 16." 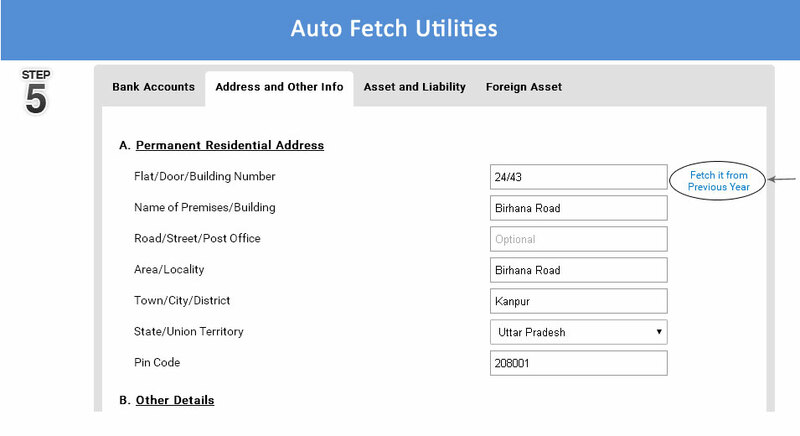 "Auto Fetch Utilities imports the data from the previous year, which saves lot of time for Tax Payers." "An Example of Simple Wizard to Optimize Tax Savings for Medical Insurance Premium." "2nd Example of Wizard to help tax payers in in saving tax if they don't recieve HRA but still they pay Rent." 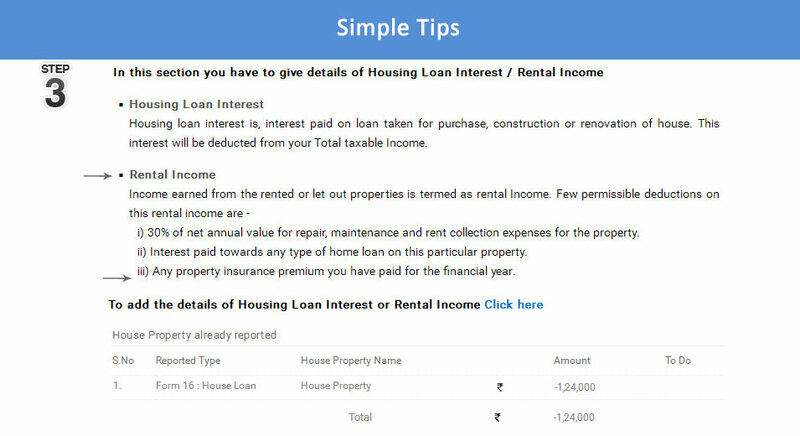 "3rd Example of Simple House Rent Allowance Exemption Calculator to determine Tax Savings on HRA." 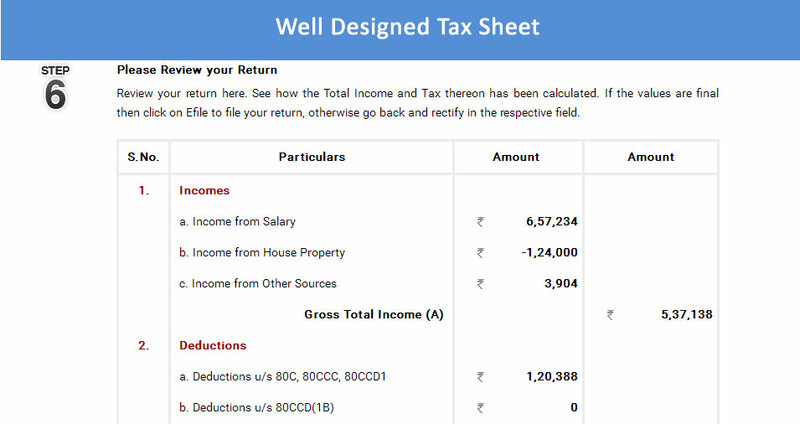 "The Review and Tax Calculations Sheet at the last step helps user to review their ITR quickly and also educates them how tax is calculated on their income. This again makes them confident towards Self E-filing." "Mytaxcafe has designed number of e-tutorials to address the need of maximum number of Tax Payers. The Screenshots depicts 4 different types of e-tutorial." 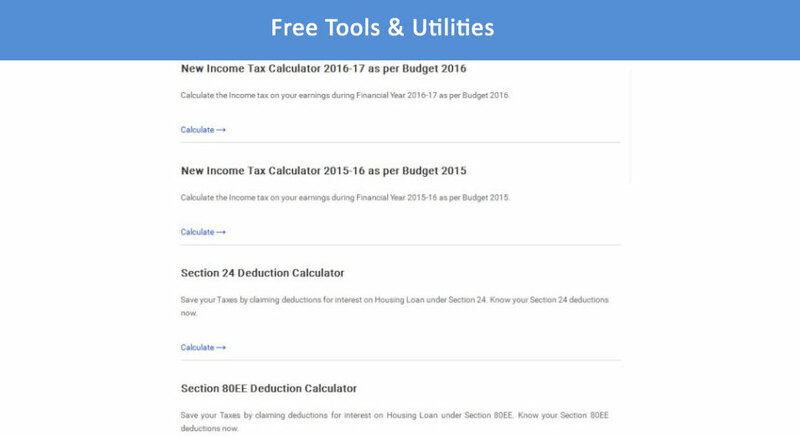 "2nd Example of another 3 e-tutotials to help the Tax Payers of every class of Income." 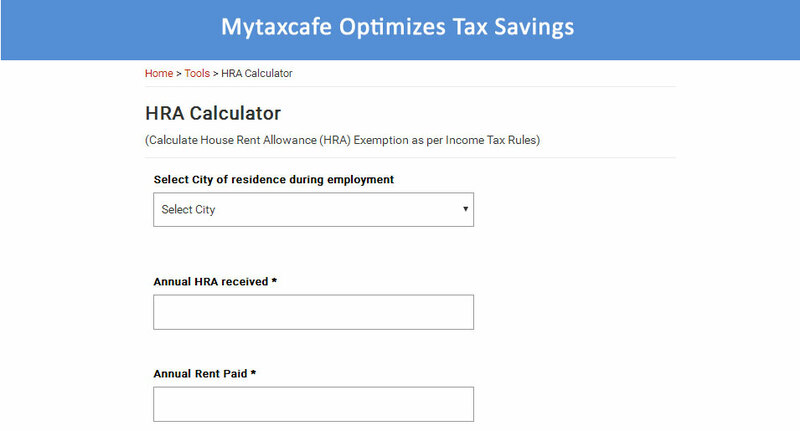 "Mytaxcafe is endeavoring to demystify Income Tax Laws with the user friendly Tools and Calculators." 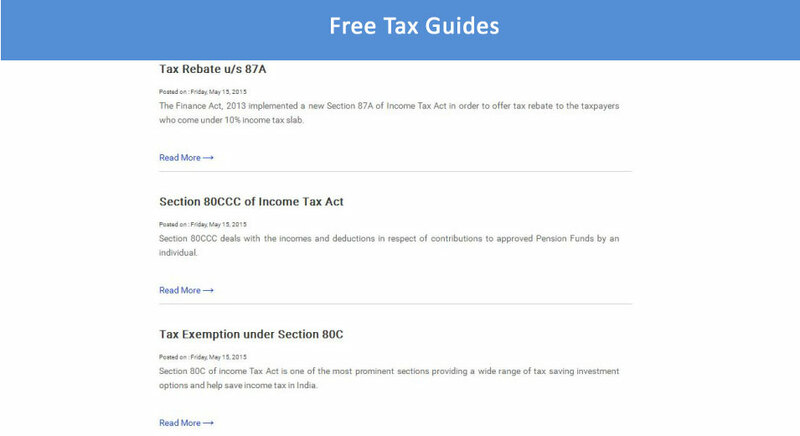 "Mytaxcafe has Free Learning Guides to help users in understanding different aspect of Tax Laws."